​To support you to live your life with health, strength, balance and confidence! Which class are you looking for at boomerang? Please click on the drop-down menu to discover your perfect class! Full list of our classes below. Recovering from injury, post pregnancy, or just looking for other ways to move? Love to geek out on alignment? We believe it doesn’t just matter THAT you exercise, it matters HOW you exercise. We all have blind spots, parts of our bodies that don’t move as much as we would like. Even athletes have movement patterns and habits that affect whole body alignment! ​lifestyle and daily habit suggestions ​to get more movement every day without taking any time from your busy life! These classes help you understand your own amazing body so you feel strong and resilient! Build strength and flexibility as we move through the most under-used parts of the body. Learn skills and exercises that apply to every-day life and move your exercise off the mat. Learn the fundamentals of aligned movement and find your own sweet spots! Build on the skills you’ve learned in Align & Refine to pick up the pace and the complexity of your alignment work. You’ll add more body weight exercises, complex functional movements, challenging balance and core work. Not sure if these classes are right for you? Give us a call at 416-993-2811 and we can figure out the right approach for you! We built the Whole Body Pilates series on contemporary movement science and creative programming. Do you love a detailed workout? Do you want to cross-train other activities like running, cycling, ski-ing and weight training? The Whole Body Pilates series balances your core and prepares you for the rest of your activities! With a focus on the whole body, you will gain strength and mobility from head to toe. It is possible to build site-specific bone, you just have to be properly balanced and aligned! This class is designed for those living with, or wishing to avoid, osteoporosis and osteopenia, arthritis and chronic back pain. We will focus on the hips, spine, ribs and wrists- the most common sites for bone degeneration. Exercises based on the principles of alignment and body mechanics will involve weight bearing, alignment, flexibility, balance and gait. Close attention to details and a no-flexion curriculum makes this class safe but challenging. No experience necessary! 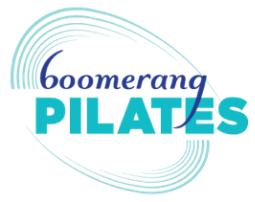 Power Pilates is your traditional Pilates choice! Build up to the classical exercises with preps and stretches. Activate your centre while getting the benefits of all the Pilates principles! ​If you want to rock the Hundreds, this class is for you. Learn the original exercises in the order Joseph Pilates first created them! We combine contemporary movement science with the traditional exercises for a class that flows through the repertoire and allows you to build your skills from week to week. This class is mixed level and modifications are made for everyone. That said, this is not a class for absolute beginners, some experience is necessary! Please note: The classical series includes a lot of flexion (forward curving shapes), and so this class is not appropriate for those who should avoid loaded flexion, including those with osteoporosis, diastasis recti and lumbar herniations. We love all the ways we can move! Check out our other types of classes! This intermediate level class is based on pilates and dance moves that will sculpt and strengthen your whole body, upper and lower! No pilates or dance experience necessary. This gentle class will take you through a whole body series with a focus on breath and balance. The Kripalu Yoga class will be a Yin Yoga class every second Saturday of the month with Danielle Généreux. Improve body awareness and promote self-healing through the subtle, gentle and meditative movement of the Feldenkrais Method® - a profound brain-body exploration. Ready for something different? This may be the best move you will make. Any age can benefit from these gentle and mindful movement classes. Enhance performance, comfort and efficiency of movement patterns. Wear comfortable and warm clothing (in layers) and socks. Classes are usually on a mat, may include sitting or standing. When I arrived for the Obstacle Course Workshop. I didn't know exactly what to expect, but I knew I'd be in for something unique and valuable because Boomerang consistently delivers pleasant surprises! I wasn't disappointed--in fact, it was better than expected. Alison set up a challenging and unstable course made up of props, beams and Pilates equipment which we navigated both standing and on all fours--empty-handed and loaded up with gear of our choosing. I really felt as if I was preparing for an emergency situation and protecting my belongings, and the greatest part was learning that I could probably manage with skill in a difficult situation! The workshop was empowering and exhilarating!